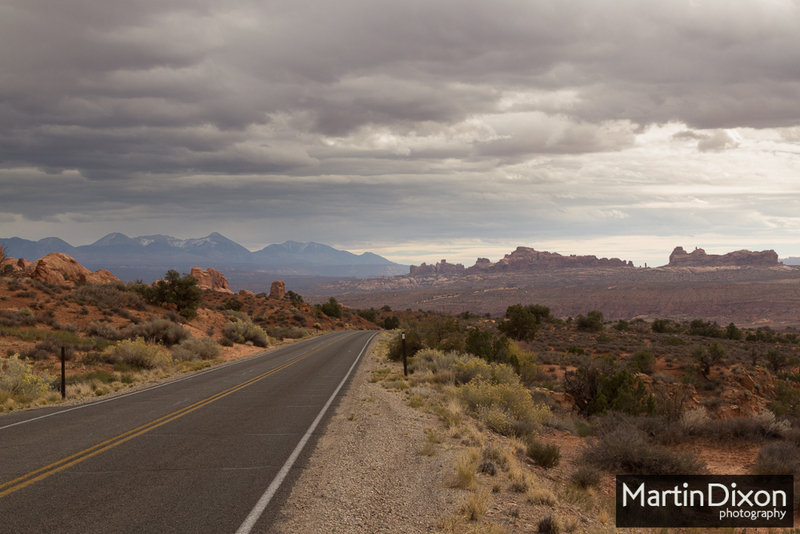 We came to Arches National Park, the fifth stop on our grand tour, on the twelfth day of our journey. 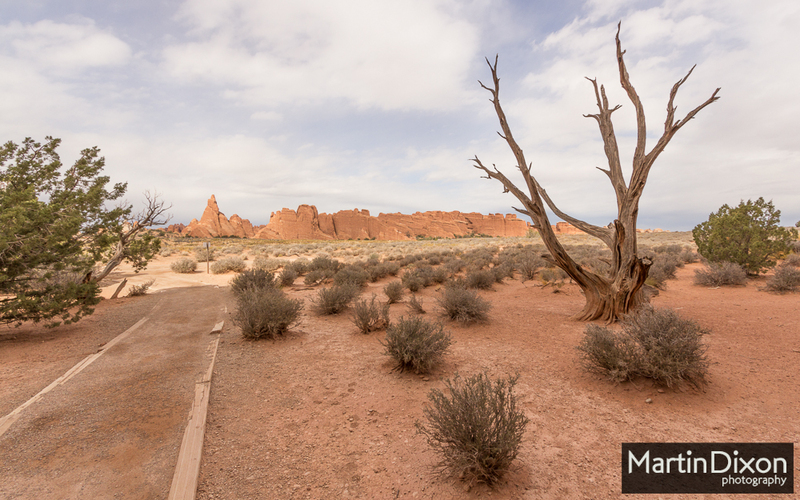 Situated a few minutes drive outside of Moab, Arches is a sprawling site accessed by a fairly unassuming road off Highway 191. Coming off the highway you head into a car park by the visitors’ centre to get your bearings, before following the road as it climbs and winds round the steep cliffs that flank the highway. 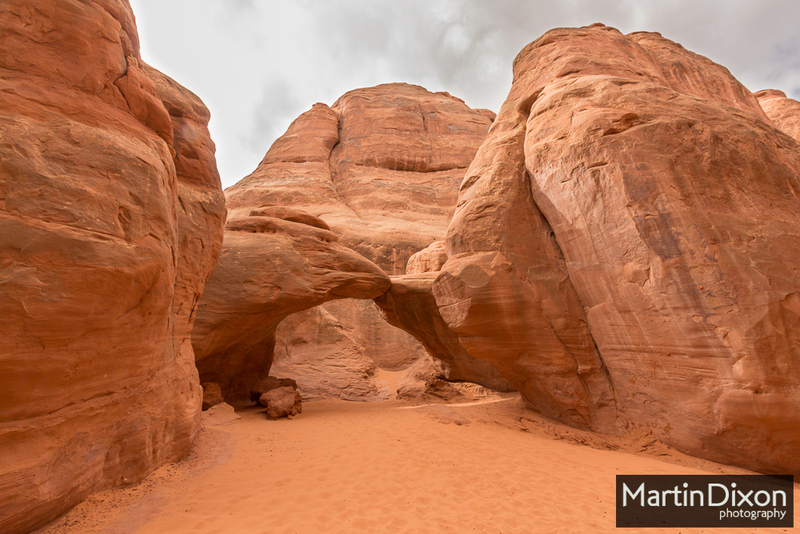 Before long, you turn away from any sign of civilisation into a spectacular world of sandstone bluffs and sparse scrubland. 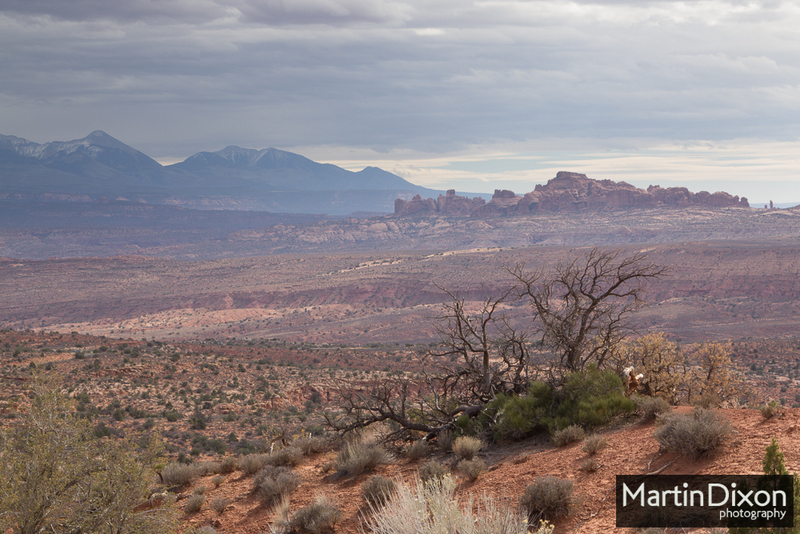 There’s plenty to see and do in Arches and most of it requires at least a little bit of hiking. Many of the more than 2000 arch formations in the park are hidden some way into the wilderness, with some of the more breathtaking ones requiring scrambling over the tops of fins and god knows what else that I’m afraid we weren’t really up to. The flesh is weak, and all that. 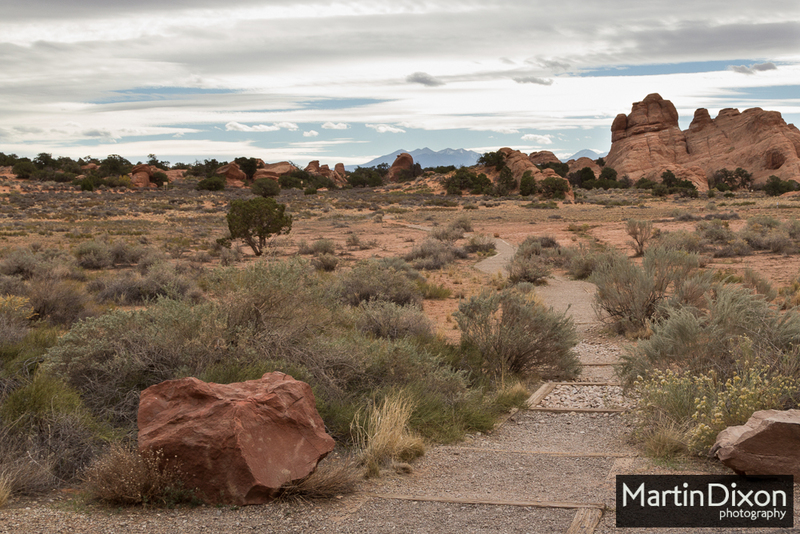 Still, we saw some of the more common ones including the famous Landscape Arch, a short way along the Devil’s Garden Trail; a wide, fragile span that seems ready to crumble at any moment. Sadly, the sky was so uniformly grey and the sun was positioned such that it was impossible to get a decent picture to do this wonderful formation any justice. The bad weather wasn’t always a problem though. While it rained on and off all day there were plenty of stretches of sunshine to enjoy and when this died away, the rain clouds made for some fantastically moody scenes. 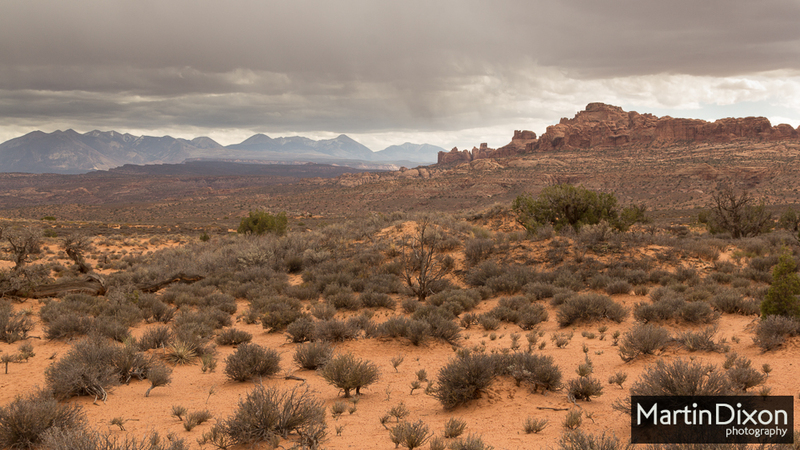 The quality of light across the vast expanses before our eyes was awe-inspiring and made for some great photography. Much better than I’d expected, actually; I returned to our hotel feeling a little downbeat and that I hadn’t captured anything particularly well, but looking through the images now I’m really pleased. There’s a lesson in there somewhere. Looking back we didn’t nearly do Arches National Park justice, hiking out only to of the less difficult to reach few spots and seeing only a few arches. Partly it was due to the weather , partly because the long journeys and awesome sights were beginning to catch up with us by this point. I’d love to go back.